A scar-faced, broken-nosed David Beckham appears in a cameo in Warner Bros. Pictures' King Arthur: Legend of the Sword, in Philippine cinemas May 17, 2017. 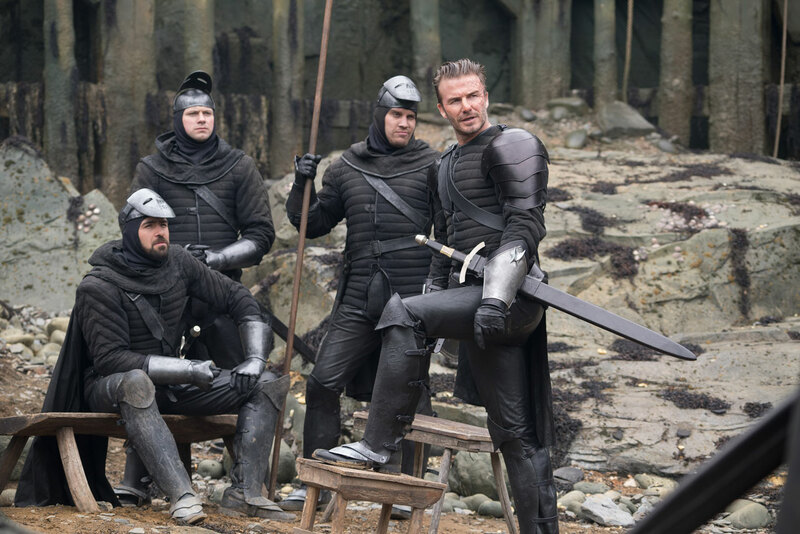 The superstar ex-footballer plays one of King Vortigern’s (Jude Law) Blacklegs standing guard over the proceedings around the mystical, powerful sword Excalibur. It's no secret that Beckham and British director Guy Ritchie are great friends. The pair has worked together on commercials that promoted the sporting legend's product lines for H&M and Haig Club whiskey, while Beckham also had a cameo in Ritchie's last film, The Man From U.N.C.L.E.